Cedar clearing is not as simple as just knocking down trees. You will typically see a property left with unsightly dozer tracks, huge ash piles, and charred sticks and sumps that were left un-burned. Ranch Co is different, and our projects prove it! 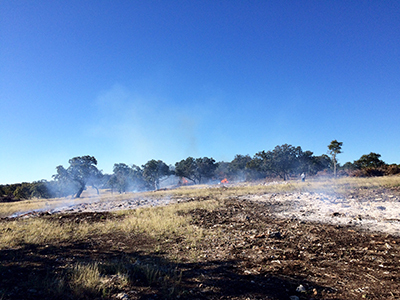 We use a process that leaves the cleared area looking like nothing ever happened. Taking the time to use hand crews and get all of the brush piled and burned. Additionally, we dig holes to bury the ashes, covering the area with unsterilized soil and reseeding with a native blend that includes wildflowers. The results are unequaled and your place will have that finished look that you expect. 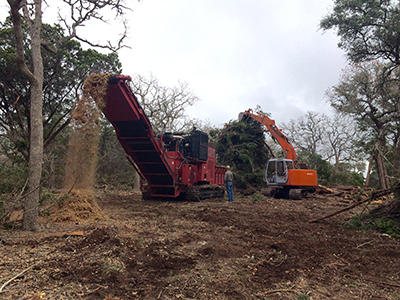 Cedar mulching is also a great option, and Ranch Co is the company to have do that type of clearing. Large drum mulchers leave shredded stumps and large limbs that get hidden under the mulch and cause problems later. We use hand clearing and cutting to eliminate these problems. Having smaller tractors and hand crews assist a large rotary drum mulcher is the only way to ensure that all that brush is mulched and not just pushed down to the bottom of the pile. South Texas is a different animal all together. The brush country presents challenges all its own. South Texas brush is an asset to a property because of its high protein browse for deer, and also the cover that it provides for all types of wildlife. 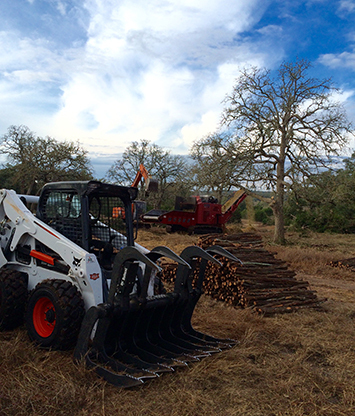 Ranch Co Services understands selective clearing, lowering browse lines and cutting scenarios. Contact Jason Evans today for more on all of our services.